Kasey771 wrote: Reduced demand is also a thing. Take away roads and make driving 'seem' harder and people re-assess their need to undertake a car journey. My thought process also factors in the effect Freeways have on sprawl. That assumes freeways and urban sprawl is bad for the quality of life of locals. Australia has one of the highest levels of quality of life in basically every study, that is with urban sprawl and freeways. That quality of life would be higher yet without sprawl and freeways. ChillyPhilly wrote: That quality of life would be higher yet without sprawl and freeways. Those quality of life surveys rarely take into account urban sprawl and freeway systems. Prominent surveys like The EIU Global Liveability Ranking (The Economist), Mercer's Quality of Living Ranking, and to a degree Monocle's Quality of Life survey primarily focus on quality of life in the inner city as they're used by governments and big businesses when considering where to open offices/facilities, and how much to compensate employees to relocate. How excessive sprawl effects a medium to low income earner in the outer suburbs is not on their radar (although Monocle often cite issues with sprawl in their 'what needs improving' comments). Those quality of life surveys rarely take into account urban sprawl and freeway systems. What I am saying is the sprawl and freeways are part of what made the inner city what it is. Is the first 2km's of Greater Adelaide/Sydney/Melbourne/Perth isolated from the next 50km's? The surveys do not directly exclude the urban sprawl or freeway systems, they are already part of all the stats for income, employment, services, etc. Sprawl and freeways is entirely part of what has created these great cities and many others! But it appears you want to say all that should be seen as a failure of what could have been done, you could do better(better than every other city in the world in fact)! It appears a VERY risky move to drastically alter what is already working so well. It always brings me back to how so many on this board say the O-Bahn is a failure because it is not a rail solution. "Tram/train would increase usage" etc, yet reality shows the opposite. Stop looking at theory on paper and look at the real world. 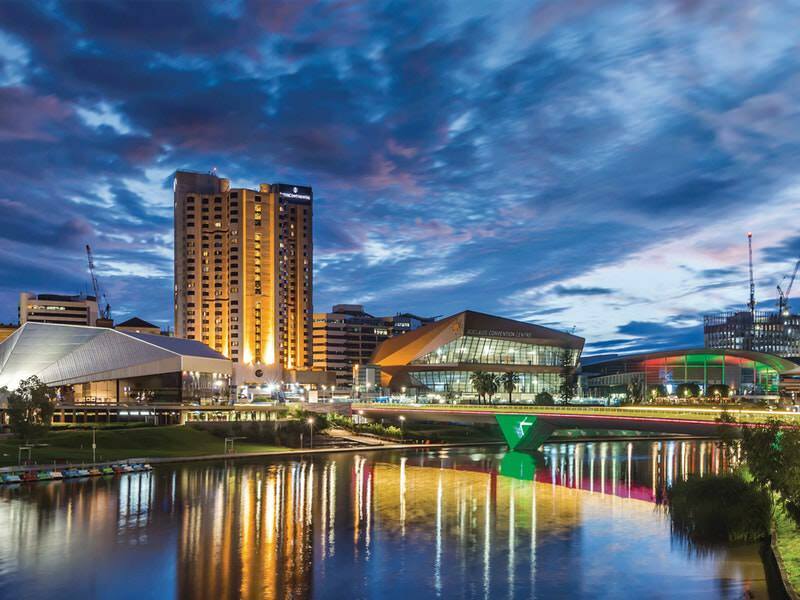 What proportion of the total employment in the Adelaide metro area is actually within the CBD? There are a lot of shops, factories, hospitals and schools employing people in suburbs. Many of us own cars to commute as the public transport network is aligned for the assumption that most people work in the CBD. Some of those employers and their staff could conceptually be further from Adelaide, effectively like Monarto was proposed to be (and Elizabeth before it), but there are benefits from being close to the other businesses, and there is a big issue with how to establish a viable community from nothing. It's not - cities, communities and people are socially, economically and environmentally better off without freeways and sprawl. I suspect that bits will argue that freeways are good and improve quality of life. Please enlighten as to how freeways are good. ChillyPhilly wrote: It's not - cities, communities and people are socially, economically and environmentally better off without freeways and sprawl. I will argue that Australian cities are the top of the chain for best cities, that's what every study shows. Yet you argue there is some place better than Australian cities, you argue that Australian cities actually are very bad compared to other cities. Point me where cities, communities, and people are socially , economically, environmentally better off without freeways and sprawl. Yet we have a very strong economy, very high levels of health, very high social cohesion, very good environment, etc. Your piece of paper is full of dot points of things that sound good on paper, but when you look up at reality in front of you that is not what you see. Something is wrong or missing on your piece of paper which is not explaining why all your negatives are actually delivering positives. I feel like you're just arguing for the sake of it now? very Strong economy? Which indicators are you using to judge that? Do we still have the worst unemployment of the mainland states or have we moved up to second worst? health? yeah all those fatties I see about town. they're really healthy. Australia is the second worst for obesity only behind our American cousins. Up to an hour each way commute seems to be generally accepted by the population (it is a separate argument how long should be "optimal"). That seems to be irrespective of whether the commute is done by private car, bus, train, bicycle, shoe leather or some combination. It seems to be near the one-hour mark that people decide to change transport mode, employer or home address. So sprawl happens just as much whether it is along a freeway, railway or busway. It sems that the current spate of road/freeway improvements are driven by needing better roads for freight, because freight (with a partial exception for inter-capital-city ) has mostly moved off of rail onto the road network. Adelaide's broad gauge rail network is (soon to be) completely isolated from the state's standard gauge freight network, which should mean we can optimise the urban passenger services, since they no longer have to fit with stone trains from Penrice or grain from the Murray Mallee, Roseworthy, Balaklava and beyond, almonds and grapes from Willunga/McLaren Vale, oil from Port Stanvac etc. You really think so do you? So what do you imagine would improve quality of life in a city of 1.3 million crammed into a smaller urban footprint?.. Less sprawl, means more people compacted into a smaller footprint. That means people will be living in smaller and smaller dwellings. Maybe living in a shoe box apartment is your idea of a quality life style, but the majority of people do not see that as a higher standard of living. Is packed public transport, like you see in Japan where conductors have to push people in to squeeze everyone into carriages so the doors can close, an improved quality of life and a higher standard of living in your opinion? We are discussing two extreme ends of the spectrum, sprawl and compact living. We should move our inner cities to a European model, which is decent sized apartments in medium density settings, with houses no more than 4 or 5 storeys tall. This new urban form would be supported with light rail through the inner suburbs and heavy rail with park and ride facilities in the sprawl. Those stations should also have an element of high density mixed use development, such as what they originally planned for at Noarlunga Centre Interchange.